Simply tell me what you think. A usability test using the Thinking Aloud method is easily prepared, inexpensive and robust. Usability guru Jacob Nielsen once found out Why You Only Need to Test with 5 Users to find the major weaknesses in a product’s usability. Print it out and join in! 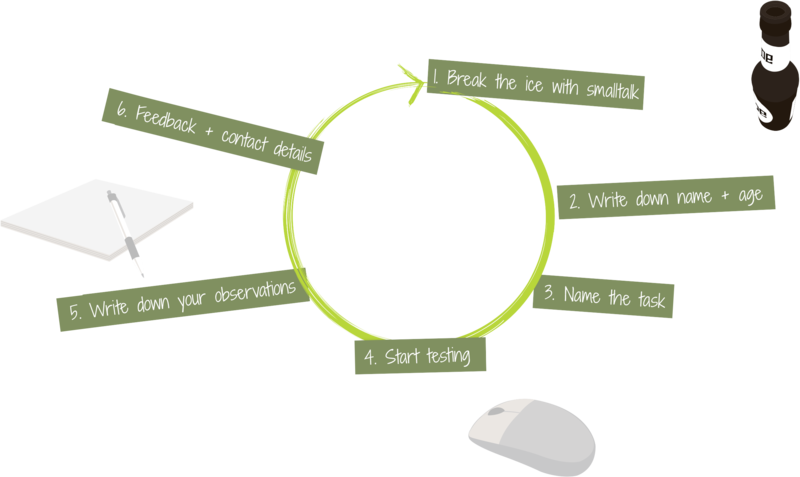 Using the Thinking Aloud method for usability testing is easy. We prepared an info pdf with an introduction and some tips for you. Es gibt noch kein Usability Testessen in eurer Stadt? Wir verraten euch das Geheimrezept und freuen uns über weitere Austragungsorte. "If there's a problem, make a party out of it."